For a jewelry enthusiast, shopping for jewelry is a refreshing, exciting experience. Jewelry fans know their own style preferences and have an easy time not only choosing their own jewelry, but also picking out the perfect gifts to present to loved ones. For newcomers to the world of jewelry or those shopping for a lifelong fan of stylish accessories, we offer a comprehensive online gift guide, available at http://www.szul.com/holiday-gift-guide. The gift guide includes multiple categories that serve as ideal starting places for the jewelry customer. You can visit our online gift boutique and shop by budget, viewing gifts under $100, $250, or $500. 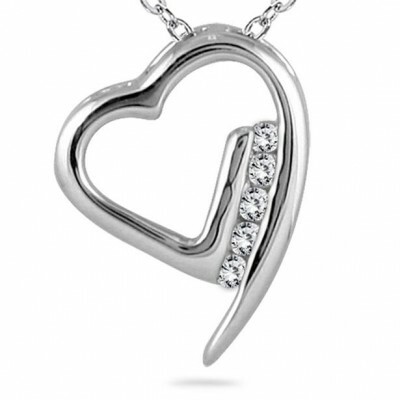 Our jewelry experts also update the boutique regularly with trendy or seasonal items such as heart jewelry to celebrate your significant other and your love. Customers can also find bestselling diamond jewelry pieces as well as gifts for men in the extensive gift guide. With recommendations from qualified jewelry experts and special deals to ensure optimal value, our gift boutique is the perfect first stop for online jewelry shopping. This 1/10 Carat Diamond Heart Pendant in 14K White Gold is a beautiful piece with exceptionally fiery white diamonds set in quality solid gold. This pendant would be perfect for every day wear. 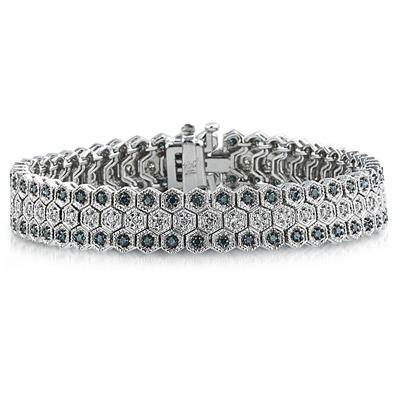 This Blue And White Diamond Bracelet in 14k White Gold is simply a stunning piece that words cannot define. 47 white and 94 blue diamonds are set to absolute perfection on a 14K white gold setting. It is an enchanting piece that exudes a sophisticated touch that is one of a kind. Do you want to see more of our amazing gift deals? Follow us on Facebook, Twitter, Instagram and Pinterest. This entry was posted in Blog Posts, Sales and tagged Bracelet, Budget, Deals, Diamond, Diamonds, Gift, Gift Guide, Gifts for men, Heart, Heart jewelry, High quality, Jewelry, Love, Luxury, Necklace, Pendant, Sparkling, Tennis Bracelet, White Gold. Bookmark the permalink.